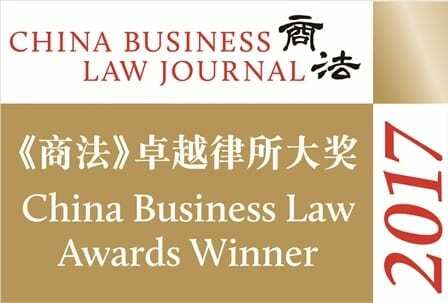 We are delighted to announce that our top tier Restructuring and Insolvency practice has won an industry award from the China Business Law Journal’s China Business Law Awards 2017-18. We were given the same award in 2015 and 2016, and we are very proud to receive it once more. China Business Law Awards are only granted to the best Chinese and international law firms for the China market. The nomination process involves recommendations from in-house counsel, corporate executives and legal professionals around the world. For more information about our Restructuring and Insolvency practice, click here.